Superior Replacement Windows is the number one rated window repair and replacement company serving Tempe, AZ and its neighboring cities. We pride ourselves in being the home window repair experts providing countless Tempe homeowners with a wide range of products and services including energy efficient windows and glass enclosures. Tempe, AZ business owners and commercial property managers have trusted us over the years to give them nothing but the best customer service and superior quality products. There are many reasons why you should choose Superior Replacement Windows for all your window installation, repair and replacement needs. First, we employ a team of experienced glass technicians who are equipped with the skills and knowledge to provide you with excellent quality service. When you make an inquiry, our technicians will come to your home to do a thorough assessment of the site. 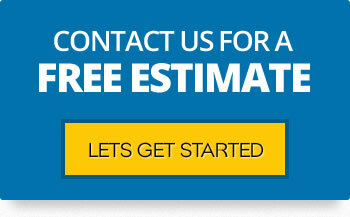 After which, they will give you a free professional estimate for your window installation or replacement needs. Second, we provide you with superior quality service that you truly deserve. We have a unique process that will take away the stress of purchasing and installing replacement windows for your home. Leave it up to us to do all the work for you at a very affordable price. Our Tempe based technicians will cut glass and repair windows to ensure an impeccable fit and a superior quality finish. Third, we provide you with a wide range of services including window installation, window repairs and glass installation. At Superior Replacement Windows we utilize only top-of-the-line glasses that perform better than most state construction specifications. Tempe, Arizona is located in the heart of the East Valley region of metropolitan Phoenix. With a population of 161,719, the city’s top employers include two Fortune 500 companies namely US Airways and Insight Enterprises. 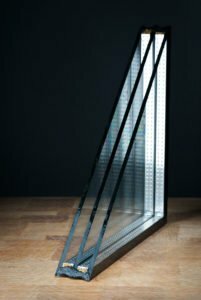 When it comes to window repair and glass installation needs, commercial building owners and residents in Tempe, AZ can trust only one name and that is Superior Replacement Windows. Superior Replacement Windows in Tempe, Arizona is number one glass shop providing window and glass repair, replacement and installation. Call us today for a free inspection of your window and glass project. We provide free price quotes and cost estimates! Tempe, Arizona is a study in opposites. If you are expecting the home of Arizona State University to be loud, hip, and happening, you’d be right — and wrong. Established in the 1870s, Tempe has a history that pre-dates Arizona becoming a state. In fact, its unusual name was conceived by an early settler who thought that at the view of the Salt River, neighboring fields, and buttes looked strikingly similar to that of the Vale of Tempe in Greece. With almost 50 homes and neighborhoods on the National Registry of Historic Places, many of the older sections of the city feature historic architecture surrounded by mature trees and secluded gardens. It is quite different than the modern, glass and concrete buildings that dominate the shores of the Salt River near downtown Tempe, AZ. Yes, there is a river in the middle of the desert and it runs right through Tempe. Early settlers dug irrigation channels to the river in order to water their fields while current residents flock to it for everything from a quiet stroll along its banks to the largest fireworks celebration in Arizona at Tempe Town Lake. In fact, the area along the river is home to many festivals and art shows throughout the year. As a college town, Tempe is filled with unique shops, art galleries, and restaurants, but it is also just across the river from three of Phoenix’s biggest attractions, namely Papago Park, the Desert Botanical Garden, and the Phoenix Zoo. Together, they draw millions of visitors each year, all vying to experience the Sonoran Desert habitat. Individually, they are award-winning jewels of the southwest. Whether you are looking for daytime adventure or you prefer to experience nightlife in the desert, Tempe is where its at. This city truly has something for everyone. The Superior Replacement Windows glass shop is just down the street from Tempe and we regularly service the area homes and offices.